Cheers to the good times. Almost skipped September without posting! It went by so fast. Here comes a stream of consciousness update of the last month. I pretty much worked and worked out waiting for the Vegas trip this past weekend. I also officially platinum’d Kingdom Hearts 1.5 and now officially have no games to play so I either need to buy another one or stop playing for a while. The weather has just gotten a bit cooler and I’m definitely excited for Fall weather. Against my better judgment, I bought a lot of clothes this month (and went over-budget since the Vegas trip also added heavily to this month’s spendings). Why does everyone have a Hawaiian shirt except me? I feel like I want to clear out my wardrobe and also start wearing more things that I’ve been neglecting. I pretty much stopped cooking since Mom got home, oops. The Fall TV season has begun and now I feel like I want to watch a bunch of new shows, or stop watching some shows so I can have some more free time. It’s always nice during the summer when I don’t have to worry about being caught up. I think I’ve turned into one of those weekend warriors. I feel like I just have a bunch of free time now during the weekend since I’m not studying all the time. And with an income, I don’t have to worry so much about budget. And now, even though I’m tired during the week and feel like I don’t have time to relax, I don’t feel the need to sleep in and do nothing on weekends. I want to go out and have fun and enjoy the daytime. It’s a nice, interesting, different feeling. It’s a strange sense of freedom. I find that I can find the fun in anything and generally, I’m always having a good time. 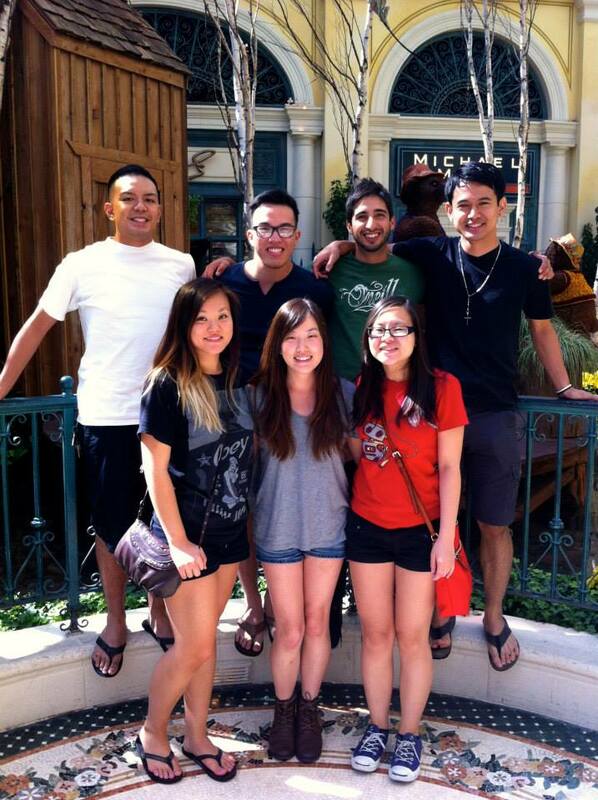 But this past weekend in Vegas, I had the most amazing time. I’ve only been three times since turning 21 and every time has been better than the last. I don’t feel the need to go all the time and I’m glad it hasn’t gotten stale like I thought it would. Each experience was so different. This time, I didn’t feel overly tired or hungover. I also gambled at the tables for the first time (and lost money but found a token, so got some profit!). I went clubbing and it turns out I really love EDM. It was storming when we got there, but perhaps that was a sign that everything was going to be better. Ryan won $300 on night one at our first slot we hit up. We finished the alcohol. No one vomited all weekend. I had cold Earl of Sandwich and confirmed that it was indeed still delicious as leftovers. You know how people say that if you don’t remember anything, you must’ve had a good time? While perhaps true, I’d rather remember stuff and realize that I did have an amazing time creating wonderful memories with great people. It was one of those weekends; not too long but not too short, leaving me at work on a Monday wallowing in misery. It was like everything came together perfectly this weekend. To old friends, new friends, and everything in between! Until next time! ~ by Btab on 30 September 2014.